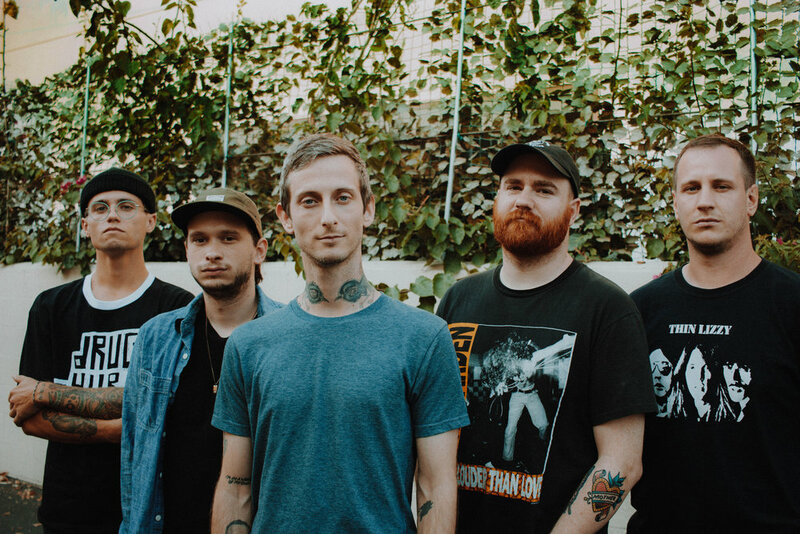 Punk rock agitators Drug Church have announced their brand new third full-length, Cheer, out the 2nd November on Pure Noise Records. Cheer finds the band amplifying their seemingly contradictory strengths to somehow make their most accessible work to date. Lead single “Avoidarama” showcases Drug Church‘s skill at deftly combining pummeling riffs with undeniable hooks, while its Ian Shelton-directed video interprets frontman Patrick Kindlon’s sardonic storytelling with a subject who plays dead to avoid awkward interactions. Watch Avoidarama here or by clicking the image below. Drug Church are a glorious contradiction. They are an unabashedly aggressive band that writes hooks you can’t stop humming: too poppy for the heavy crowd, too heavy for the poppy crowd. Their frontman is a singer who rarely sings and delivers lyrics that revel in the darkest corners of the human condition, but are just as likely to make you laugh as they are to make you flinch. They loudly shout the uncomfortable truths we prefer to ignore but somehow make us want to shout along with them; they make serious music but don’t take themselves too seriously; they are completely adverse to planning but have accidentally built a loyal cult following. On Cheer, the band has doubled down on their Drug Church-iest impulses and improbably emerged with an album that’s sure to please longtime fans and turn new heads. If there’s anything intentional about Drug Church, it’s knowing the value of being unintentional. Drug Church are on tour through August in the U.S. with Can’t Swim, and will be touring the UK in September with Boston Manor, Microwave, and Wallflower. See full UK dates below. Drug Church dates supporting Boston Manor with Microwave and Wallflower.